Provides powerful, crystal clear sound to soundbars or home theater AV receivers. Want the fastest, high definition audio between your TVs, Soundbars, AV receivers, gaming consoles, etc? Our Toslink Fiber Optic Audio cable streams hi-Def audio between these devices at the speed of light. Our connector is ordinary, but that's a good thing. We use a Toslink JIS F05 Connector which most consumer products on the market like TVs, Soundbars, and Home Theater Systems use. 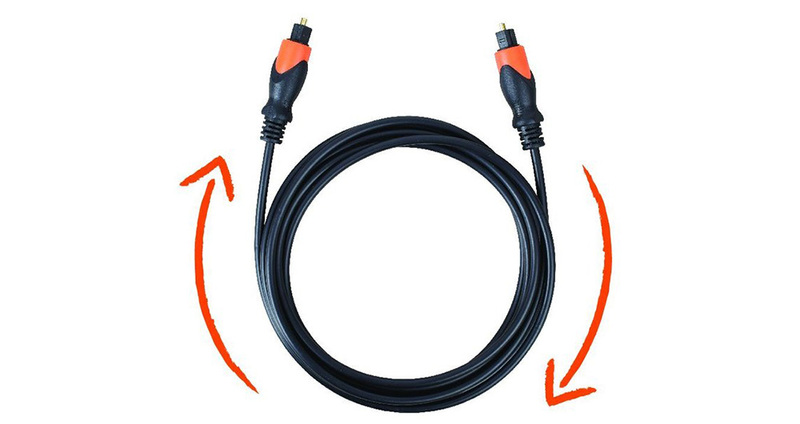 Your Home Theater hasn't reached it's full potential until it connects with this cable. The cable supports Dolby Digital/DTS signals that can be processed by an AV receiver for surround-sound. 24K gold plated connector head is very conductive in terms of signal strength and speed, meaning a clean/clear connection with fast speeds. That's right, gold! Upgrade your TV viewing experience even more with ECHOGEAR TV accessories. Here are some options compatible with this mount. Need to know the latest deets? Sign up and be our friend. Click the button below to add the 6ft Digital Optical Audio Toslink Cable to your wish list.